Turbo Mike and the IPD 997 GT2 improved upon their previous performance at the recent Shift S3ctor Air Strip Attack (Oct 2013) at the Coalinga Airport. Mike improved upon his original top speed run of 181 mph with a 182 mph run. The pass was actually substantially faster considering the organizers of the events shortened the track and speed traps in order to increase the braking zone for improved safety. Although we can't say exactly how much faster we were, we can say that we were more dominant against the competition than at the previous Shift S3ctor event. The IPD GT2 was the fastest Porsche in attendance. Mike was 4 for 4 in each of his races beating 2 heavily modified 997.1 Turbos as well as a VERY powerful Nissan GTR that had a reputation of beating up on some very fast Porsches. The IPD 997 GT2 is still running on stock engine internals. All performance mods are "bolt on" parts. The car is still running on 91 octane plus 100% methanol at 26 pounds of boost and was driven over 500 miles to and from the event and not trailered. Click here for a full list of all the mods installed on the IPD 997 GT2. This was another great time with great competition and great camaraderie. Thanks again to all the guys at Shift S3ctor for putting on such as well run and enjoyable event. Learn more about future Shift S3ctor events at the link below. The fundamental purpose of a plenum is to deliver as much air as possible through a maze of ducts while requiring the least amount of work. 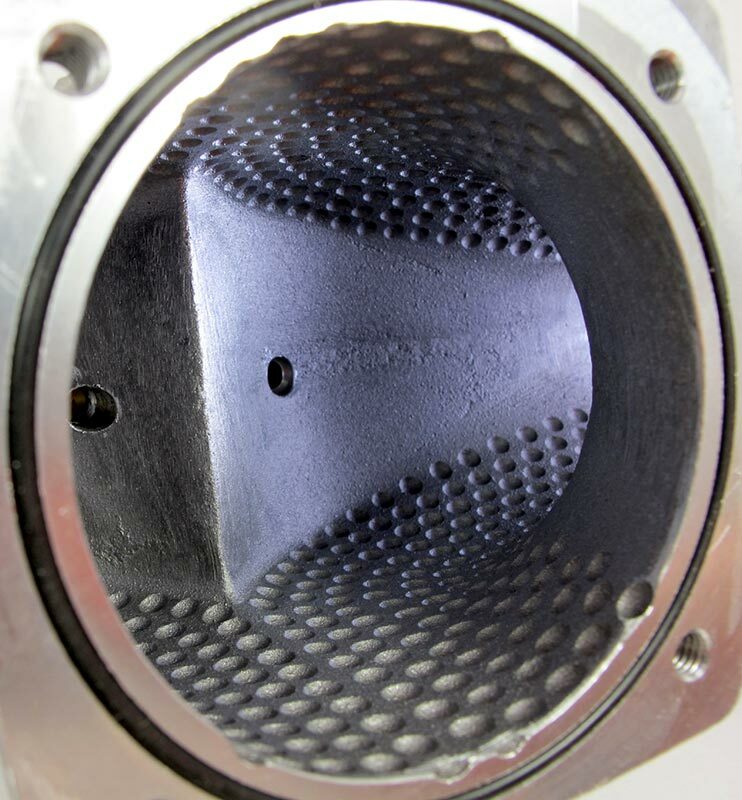 IPD has tested numerous internal surfaces inside the Plenum, including polishing, extrude honing, epoxy coating, and shot peening just to name a few. We spend countless hours developing our product and we have finally been able to perfect a dimpling effect that shows gains over our previous attempts. Fundamentally dimpling, akin to a golf ball, creates a thin turbulent boundary layer on the flow surface. The theory behind a golf ball is to keep the air stuck to the back of the ball as long as possible to reduce the wake - and increase pressure behind the ball - while traveling through the air to maximize distance. A similar principal applies in a Porsche plenum, where air travels through a tightly constructed intake to meet the extreme packaging constraints of our rear (and mid!) engine friends. By dimpling the interior surface, there are fewer localized pressure drops around compound curves, thereby increasing the flow. 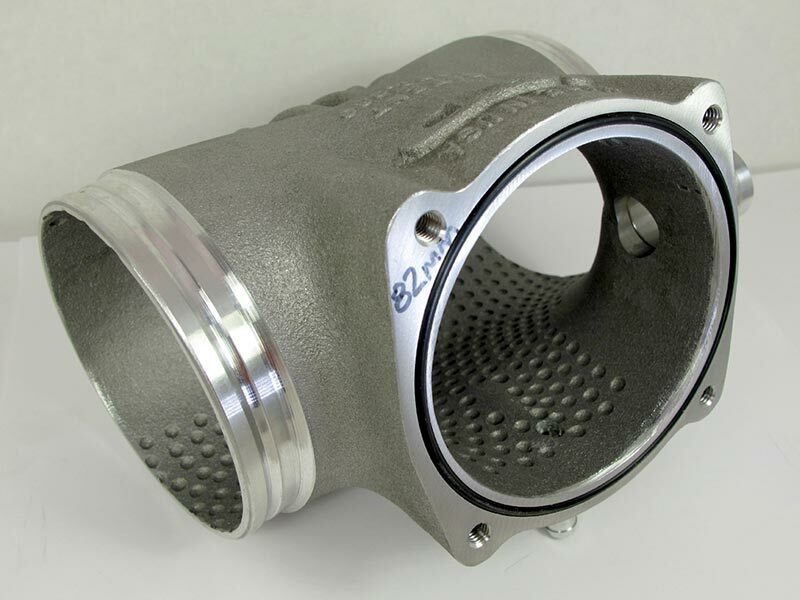 In this case, the theory matches the dyno and we are pleased to announce our latest iteration of the plenum. You can plan on seeing more dimpled surfacing with both new an older IPD Plenums in the future.